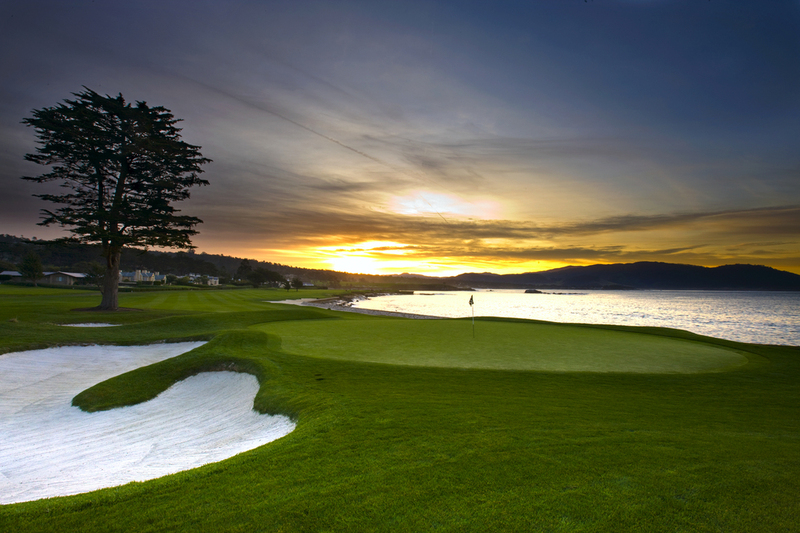 Pebble Beach has hosted four U.S. Opens, each won by the top player at that moment: In 1972 it was Jack Nicklaus; 1982 was Tom Watson; 1992 was Tom Kite; and 2000, lest anyone forget, was Tiger Woods. A great course identifies a great champion. Ten years ago Tiger got the better of Pebble, not only lapping the field in winning by 15 strokes but also tying the Open scoring record of 272. It’s no surprise that the course has been toughened for its fifth Open, June 17-20. Of course, everyone involved swears Tiger’s performance had nothing to do with it. 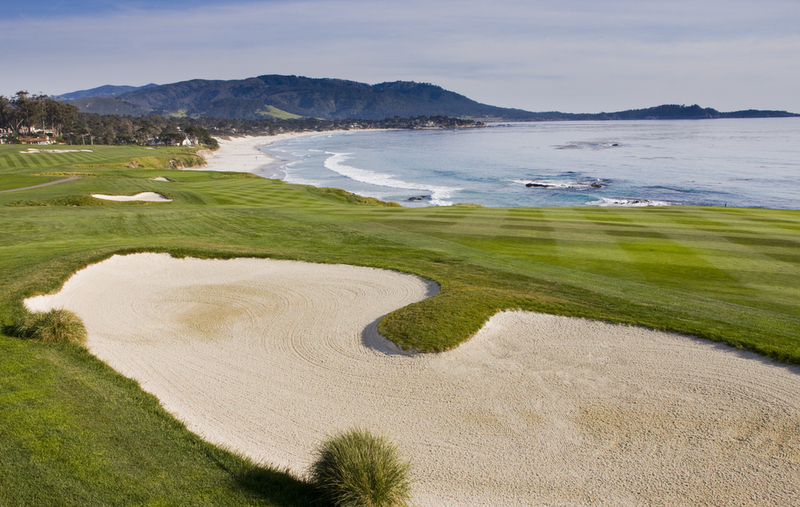 I recently returned to Pebble Beach for the first time in nearly two decades, attending U.S. Open media day and looking at a few other courses in the area (more on them in future posts). The pooh-bahs were in attendance and what follows are highlights from their presentations. —Tom Watson, playing on a special exemption, will be the only player to compete in all five Pebble Opens unless Tom Kite qualifies, which he is trying to do. —$150 million to local hotels, restaurants, stores, etc. 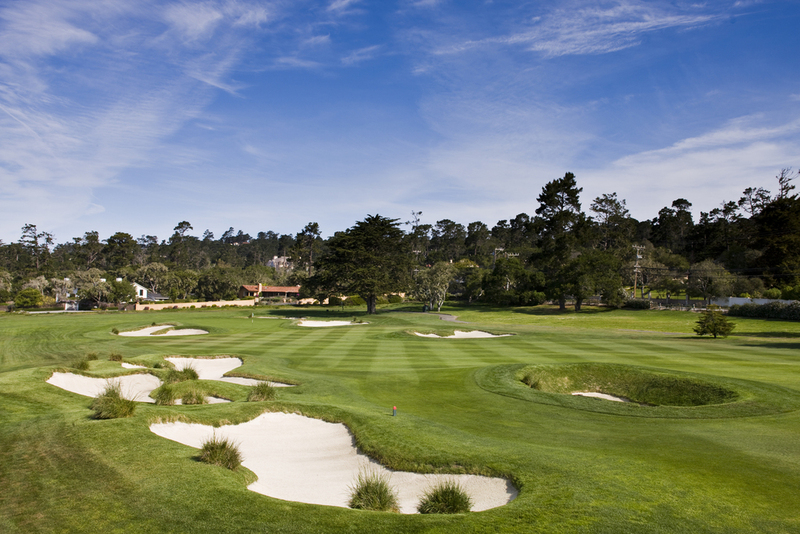 —The USGA’s course set-up philosophy is explained on the website, usga.org. No. 6, par 5. The fairway has been moved to the cliff on the right, eliminating rough on that side and possibly taking driver out of some players’ hands. No. 8, par 4. The “drive zone” has been moved 25-30 yards to the right and closer to the cliff. Besides putting more pressure on tee shots, many players will have a hanging lie for their approach shots. No. 9, par 4. New tee adds 40 yards (hole usually plays downwind), but a good drive may get over the hill and roll onto the beach. No. 10, par 4. New tee adds 55 yards (hole usually plays downwind). No. 13, par 4.Possibly the “most exciting change” on the course is a new tee that adds 45 yards, bringing the cross-bunkers back into play, especially into the wind. Players can’t simply swing away but have to choose, and then execute, a shot. No. 14, par 5. Already “one of the two toughest par-fives” in Open play (along with No. 12 at Oakmont), there are new bunkers both left and right, a large Cypress tree about 100 yards short of the green on the right side of the fairway, and the tee has been lowered creating a nearly blind drive. No. 15, par 4. Historically, this hole has changed more than any on the course. After trees were lost to disease, five bunkers were added in 2005 along the left side near the landing area, the first bunkers ever on the hole. No. 18, par 5 (top photo, as if you didn’t know). Trying to make this “a better hole for the best players,” it should now take two perfect shots (and wind) to get home. Two trees in the fairway force the tee shot further left and closer to the ocean. Players bailing out right will find the “gnarliest” rough on the course. Beginning in about five weeks, we’ll see just how good—and effective—these changes are. A Private Home for the Home of Golf?